7Years, hailing from Livorno, Italy, have just released their new full-length album "Lifetime" on Morning Wood Records and No Reason Records! "Lifetime" features thirteen brand new high quality tracks in the style of 90's and early 00's melodic punk rock bands mixed with some typical guitar shredding as seen in recent years. 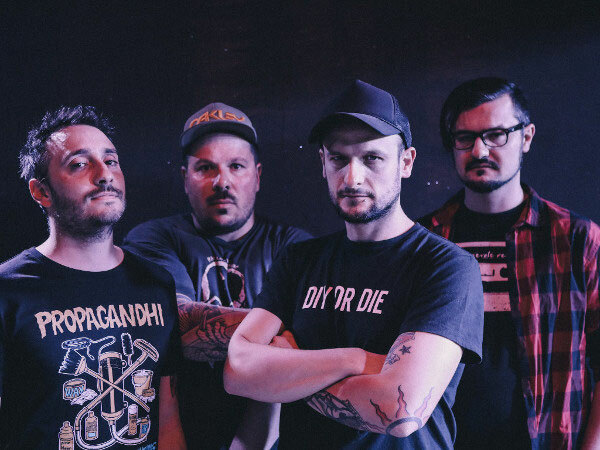 Varying from fast paced, straightforward skatepunk songs to hook-laden mid-tempo tracks, overall "Lifetime" remains energetic, catchy and tight! Besides that, guests vocals on two of the tracks are provided by Joey Cape (Lagwagon) and Hans Roofthooft (F.O.D.). 7Years already released a music video for the title track and a lyric video for the song "Never Down", which both can be found below. "Lifetime" by 7Years is out now on CD through Morning Wood Records (The Netherlands) and No Reason Records (Italy) and digitally distributed by Inconsapevole Records (Italy). A vinyl release is planned for later this year through yet to be confirmed record labels. 7Years was founded in 2001 in Livorno, Italy. Apart from touring in Japan, Germany, Austria, Slovenia and Italy, they shared stages with bands such as Lagwagon, Ten Foot Pole, Belvedere, Pulley, Shelter and Zebrahead. In support of the release 7Years will also be doing a handful of shows this year including BAYFEST in Italy on August 14th together with Bad Religion, Pennywise and Good Riddance.